What a Night, What a Moment Together! Wow, what a night and what an amazing moment. 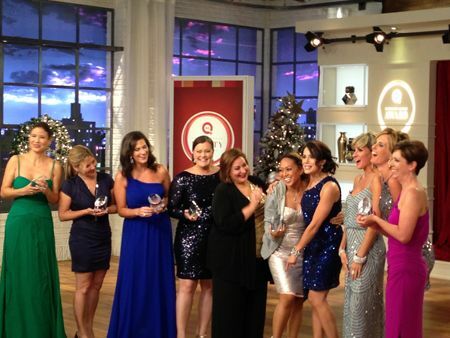 Together, we won our very first QVC Customer Choice Beauty Awards! I am so overwhelmed with emotion and gratitude and feel so blessed. 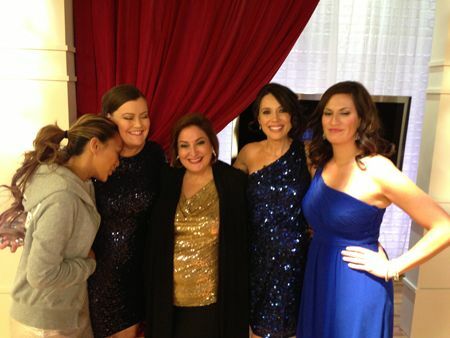 The night began with standing in the Stage 3 Studio about three hours prior to the show to take our "before" shots with models. That's when it started to hit me. I stood in that exact same spot two years prior while launching our brand and Bye Bye Under Eye Concealer for the very first time on QVC. I vividly remember that night in 2010. We had just 10 minutes to share our concealer with all of you, and depending on how it went, we might or might not have ever gotten a chance to be on QVC again. I remember shaking like a leaf that night, and I was so nervous that my skin was the most red I have ever seen it. My husband told me, “You’re going to have a great before shot,” which I don’t think was necessarily a compliment (lol). We were still a very new, very small brand that I knew made great, powerful products. I believed they'd make women’s lives better with all of my heart, but the hardest part of being a small brand is getting the word out about your product. That night in September 2010, I stood in the Stage 3 Studio, went live on air with host Lisa Mason, and tried to demonstrate how our concealer doesn’t crease by bending my wrist back and forth. I was shaking so much that Lisa pushed my hand down in the middle of the broadcast because it looked so bad. I was so very nervous and praying for the right words to be able to truly show why our product is so different because I thought it could've been our only chance. We sold out, and I remember tears running down my face at the very end of the segment. That was the last time I cried inside the QVC building, until standing in that exact same spot last night three hours prior to the awards show. Thanks to all of you, our amazing IT girls, IT moms, IT grandmas, and IT survivors. 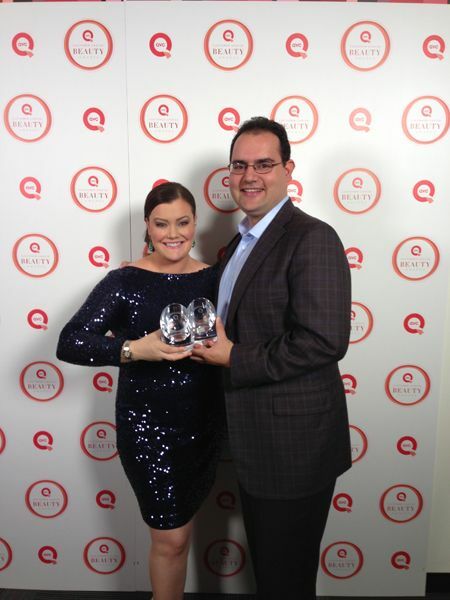 We have been able to continue this amazing journey with an amazing partner, QVC. Last night, two years later, while standing in that exact same spot in Studio 3, I was truly overcome with emotion thinking about all that has happened because of you. 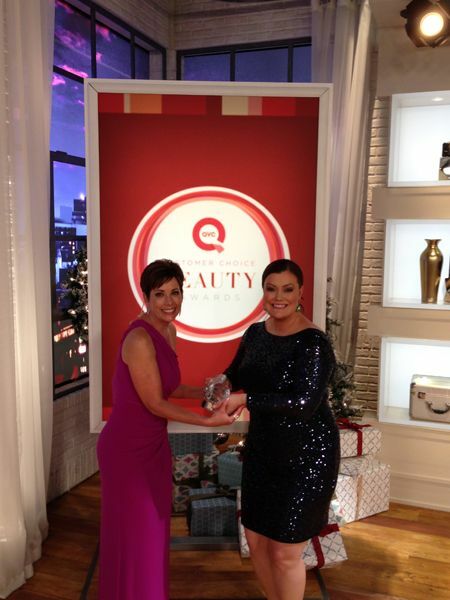 What started with our concealer and a 10-minute chance has now led to the 2012 QVC Customer Choice Award for Best Concealer. WOW! When we launched our Brow Power pencil on QVC, I was so honored to share that, for every one we sell, we donate one to the American Cancer Society’s Look Good, Feel Better program to help women face the effects of cancer with more confidence. 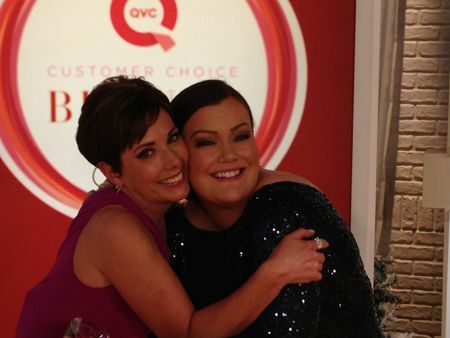 Because of you, more than 60,000 women facing cancer are getting Brow Power pencils this year, and Brow Power won the 2012 QVC Customer Choice Beauty Award for Best Brow. Words cannot express how grateful I am for each and every one of you. I pour my heart and soul into making products designed to solve all of our beauty problems (you know I have a lot of them J). This is what I stay up late at night thinking about and what makes me spring out of bed in the morning to do. This is my passion and my mission. You are as much a part of IT as I am, and I feel so blessed, grateful, and honored to share this journey with you. P.S. Here are some really fun pics from last night! The closing of the awards show, so much fun! Fun with Mary Lyn from philosophy, she had so many awards they couldn't all fit in the pic! Love Mari Lyn from philosophy! Hanging with the girl; Mally, Laura, Sandra & Jessica! 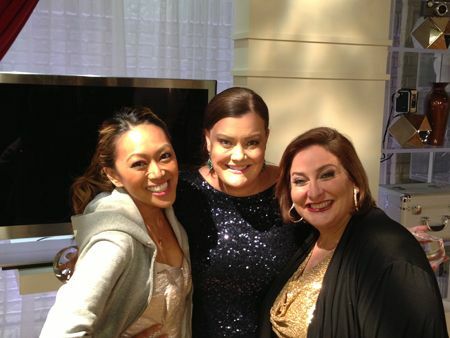 After the show, with the beautiful Mally & Laura! Me and my husband Paulo (I decided not to post the ones where he was making Zoolander model faces)!